The favelas are Brazil’s slum areas where some of the poorest people in the country reside. The favelas are made up of several houses and some households even have dozens of residents. These areas are a reflection of wealth inequality in the country. The worst part is that due to poverty and lack of education, the favelas are usually crime-infested. The Favela Painting Foundation is an organization dedicated in using street art as an agent of change. If you have seen images of favelas coated in various artworks, this was due to the efforts of the people behind the organization. 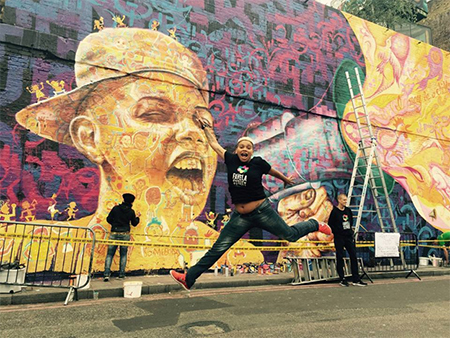 With their passion for the art and in hopes of changing the face of the favelas, dilapidated buildings were ultimately transformed into a stunning work of art. Urhahn and Koolhaas are two men behind the organization and they work directly with the locals to make their vision a reality. The best part about their efforts is that they have asked for help from locals to collaborate with them. The results are not just the artistic ideas of the duo, but also the vision of the favela residents. 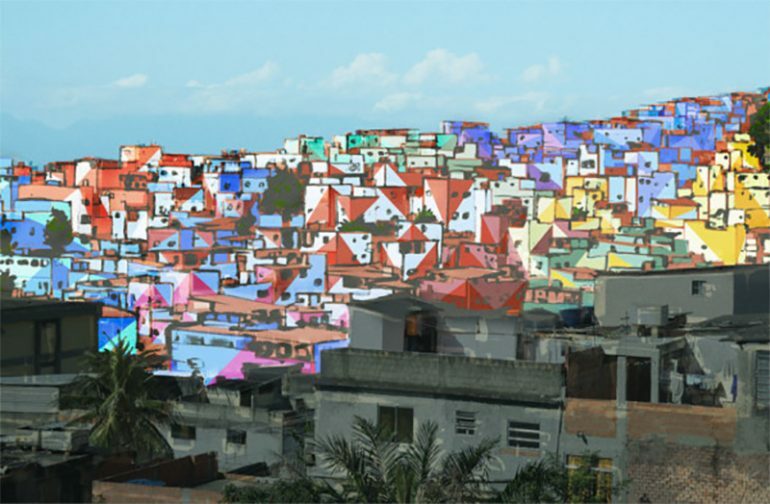 In 2010 for instance, they have created the beautiful painting at Santa Marta favela. Thirty four houses were covered over a 7,000 square meter area. They also didn’t just go there and start painting the entire place. They have spent time living with the locals and even trained some of them to help in the project. The final result was a stunning piece of art with rainbow hues and was truly magical. According to the duo, their main goal of starting this project was to empower the people and bring joy in their hearts. They also wished they could ignite changes, both personal and societal. They believed in the idea of using street art right from the start. They knew it would create visual impact and also raise awareness on the plight of the poorest residents of Brazil. The biggest reason why they started the project was to provide the people a sense of ownership on their artworks and at the same time, improve the overall condition of their houses. Even if the people behind this project were really sincere in achieving their goals to help the people, they were still criticized. Some people think that the street art was meant to hide the sad reality that the locals are experiencing. Instead of highlighting their challenges, the art was used to cover up the plight of the people. Others have accused them of being a puppet of the government as they tried covering up the reality in the country as they were gearing up for the World Cup and the Olympics. Not all favelas have received positive effects as a result of this project. Most of the favelas receiving positive impact were located in the central area while in the other areas, oppression and violence remain a problem. As a result of the criticism, the duo stopped their projects as the Olympics approached. They have decided to use their energy in Amsterdam, where high-rise structures were built to house the refugees. Urhahn and Koolhaas responded to the criticisms by saying that they never intended to change the world with their works of art. Instead of dwelling on the negative aspects, they decided to just focus on the overwhelming support received. They hope the project will ignite more support and bring joy to those who are involved. They may be currently focused on the favelas of Brazil, but their ultimate goal is to replicate this project in other favelas or slums in various parts of the world.